The end of summer is in sight, and boy, wasn’t it fun? Yet the end of everyone’s favourite season isn’t anything to get too upset about, especially when we have autumn to look forward to! If you’re visiting Calgary during the early part of the season, from middle to the end of September, then you’ll find plenty of fun events waiting to be enjoyed. Coming up we have a family fun day, the chance to see a local sporting event, and a chance to pick up a one of a kind souvenir. Check out all the details below! The Kiwanis Apple Festival is now in its fourth year, and this year promises to be bigger and better than ever before! Head down to Kamp Kiwanis on September 22nd, and you’ll find plenty of fun family goings-on to keep you and the family entertained, including a bouncy castle, face painting stations, and live entertainment. Who doesn’t love a game of football on a Friday night? On September 28, the Calgary Stampeders will be taking on the Toronto Argonauts at the McMahon Stadium. As well as a terrific game of football, you’ll also be able to see an awesome fireworks display lighting up at the sky. Love your Canadian-made goods? Then don’t miss Etsy: Made in Canada. Taking place at the Genesis Centre on September 28 and 29, you’ll have a chance to buy goods from more than 110 artisans and sellers. After all that running around, make sure you’re returning to the best hotel in Calgary for a night of comfort and relaxation. 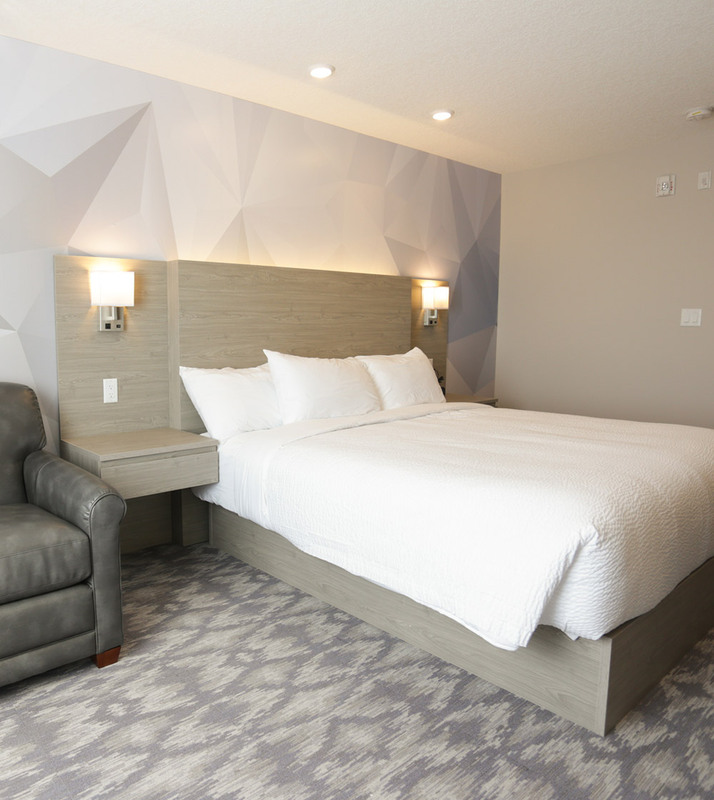 At the Days Inn Calgary North Balzac, you’ll be able to rest in luxury. Our well-appointed and affordable rooms offer comfortable beds, and, as a guest of the hotel, you’ll also receive a deluxe daybreak cafe breakfast, access to our indoor pool and whirlpool, and fitness center!